As per this study the Global Silane Coupling Agents Market was valued USD 522.7 MN (by revenue) in 2018 and is anticipated to reach USD 665.0 MN by 2025 with a CAGR of 3.5%. Silane coupling agents are categorized under those compounds, which have functional groups that react in the bond formation with both organic and inorganic compounds. Basically, they act as a sort of intermediary that bond organic to the inorganic compound. They are useful for improving the mechanical strength of composite materials, for improving adhesion, surface modification, and resin modification. Apart from this, they have exceptional outstanding properties, such as better heat resistance, improved weather ability, water resistance, and enhanced durability of resin. 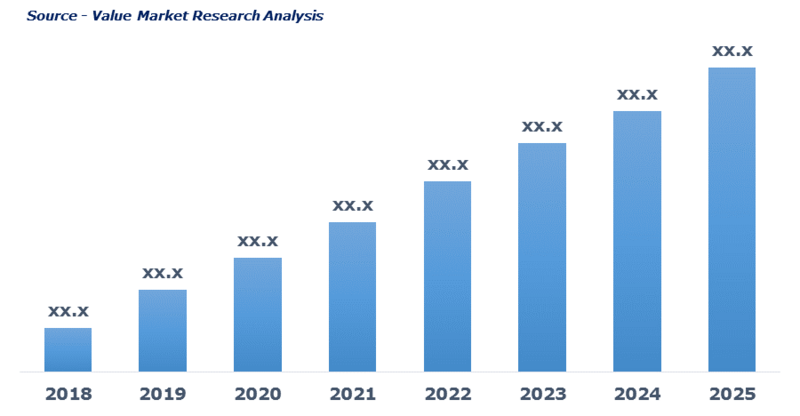 Rising application across many end-user industries such as construction, automotive, construction and electrical are accounted for the growth of the silane coupling agents market. Moreover, the growing usage of silane coupling agents compound for enhancing adhesion and dispensability of inorganic compound combined with consumption as raw material for the formulation of hard-coat materials is further presumed to raise the demand for silane coupling agent. This detailed market study is centered on the data obtained from multiple sources and is analyzed using numerous tools including porter’s five forces analysis, market attractiveness analysis and value chain analysis. These tools are employed to gain insights of the potential value of the market facilitating the business strategists with the latest growth opportunities. Additionally, these tools also provide a detailed analysis of each application/product segment in the global market of silane coupling agents. The broad silane coupling agents market has been sub-grouped into type, application and end-user. The report studies these subsets with respect to the geographical segmentation. The strategists can gain a detailed insight and devise appropriate strategies to target specific market. This detail will lead to a focused approach leading to identification of better opportunities. Furthermore, the report comprises of the geographical segmentation which mainly focuses on current and forecast demand for silane coupling agents in North America, Europe, Asia Pacific, Latin America, and Middle East & Africa. The report further focuses on demand for individual application segments in all the regions. The report also covers detailed competitive landscape including company profiles of key players operating in the global market. The key players in the silane coupling agents market include 3M, Dow Corning, Evonik, Gelest, Hexpol Compounding, Power Chemical Corporation (PCC), RAYTON CHEMICALS, Shin-Etsu Silicones, Struktol, and The DOW Chemical Company. An in-depth view of the competitive outlook includes future capacities, key mergers & acquisitions, financial overview, partnerships, collaborations, new product launches, new product developments and other developments with information in terms of H.Q.